Before taking the stage at PSFK's Future of Retail Conference next month, HERO's CEO and founder Adam Levene discusses how his company is assisting retailers in pioneering the future of omnichannel retail, optimally synching their digital and in-store retail spaces while also re-humanizing the experience. As the way consumers shop continues to transform, retailers are revamping their online and digital experiences to meet the latest shopping behaviors. Stores can struggle, however, with finding the best way to reorganize their business models to cater to shoppers’ needs, and to strike an optimal balance between their in-store and digital outposts. HERO is here to rescue these retailers, providing them with the tools to amplify the sales strategy they already have intact by simply adding to it: The retail technology company helps stores make better use of their brick-and-mortar down time and in-store associates by connecting them with customers shopping virtually, offering real-time, on-demand customer assistance from real humans. Ahead of his presentation at PSFK’s Future of Retail 2019 Conference this January, HERO’s CEO and founder Adam Levene spoke to PSFK founder Piers Fawkes to explain the company’s mission to not only optimize retailers’ business by creating a synergy between online and offline resources, but also using technology to reintroduce a personalized, human element into the online shopping experience. Piers Fawkes: What are the broader trends happening in retail and technology driving you and your business? Adam Levene: The trends that have really driven our business and what we’re seeing in retail in particular are centered around the macro shift happening with companies spending more of their time with e‑commerce, leaving more of the physical retail space needing to reinvent itself more than ever before. In a world where e‑commerce has become the number one way in which people are shopping, there are millions of associates and billions of square feet of retail space that absolutely need reinvention. Has shopper behavior changed? What’s different now about what people want when they go into a store? I think people have become so used to convenience. I think that’s the number one theme across so much of technology in our lives. Whether it’s ordering Ubers or ordering food, we expect and are familiar with convenience. If a customer has made a trip to the store and they’ve chosen not to shop on their smartphone, they have to go for a reason. They’re looking for something—it could be expertise from the associates, it could be they’re looking to get a hand on the product, it could be they want to try something on. It could also be for the experience of going into a store. Experiencing retail is such a hot theme today. Customers absolutely have higher expectations. It’s being driven by the fact that they are so used to things being convenient. Therefore, if they’re going to make that trip to the store, it has to be for a reason, which is where Hero fits in: How do we combine those two worlds? How do we combine the experience of the store but also the convenience of e‑commerce that customers have become used to? Talk about how you’re doing this by arming the store associates with a set of tools, allowing them to serve customers better. The heart of Hero is a very simple idea: You have millions of retail associates, billions of square feet of retail space that are not utilized 100% of the time. Saturday morning, you may be very busy. On a Wednesday afternoon, for example, in most stores, you find downtime. What you’re seeing more often than not is customers shopping online, in particular from their smartphone. When they’re shopping online, they need help, advice and expertise the same as they always have done. With Hero, a customer is able to sit on their favorite dot‑com site, their favorite retail site. When they’re shopping, they’re encouraged to shop live with an associate, usually in the nearest store to them. The customer taps on the website. They don’t need to download an app or sign up. Instantly, they are connected either through chat or live streaming with an associate in the store. The associate is using Hero either from an iPhone or an iPad, or any other tablet or device they’ve been given. It means at those times, when there’s capacity in their daily schedules, they can go available. They can chat live with that customer online. For the first time, an associate in a store can proactively sell online, and actually earn commissions from online sales in the same way they’ve traditionally earned commissions from in‑store sales. What other tools and services are you providing associates to create a better customer experience? All of our interactions start through text and chat. The associate has all of the product expertise and the knowledge to upsell the customer. They can explain to them the benefits of the various items they can see a customer is looking at then and there on the website. Now because they have the proximity to the product and the stock, they can also take photos and live-stream videos. This starts to extend the experience people always found in store to the digital realm. You could be anywhere in the world experiencing it. You could be on your smartphone in the cab or at home on the sofa. Suddenly, you feel like you’re there in the store, shopping live with an associate. Explain how that relates to your Blackbook feature. 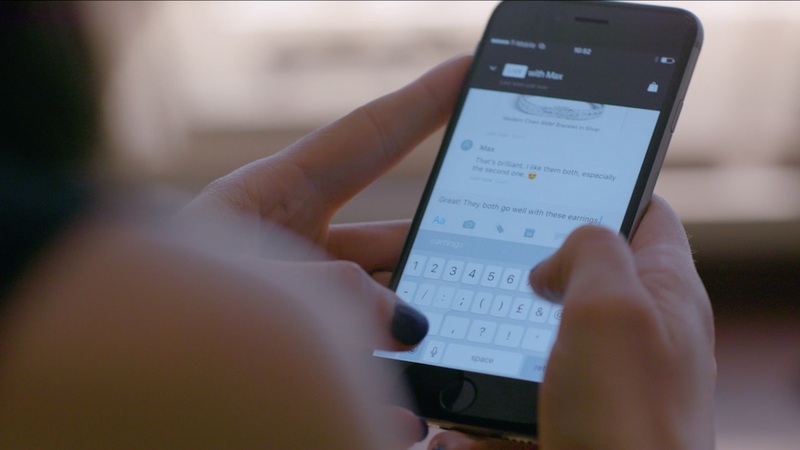 We introduced Blackbook this year as a way for associates to stay in touch with a customer once they’ve built that connection. Whether they met the customer online through Hero or in‑store, they can now stay in touch by messaging them when there’s new stock or availability, or when there are new collections. It’s one way for the customer to have their own personal stylist on speed-dial. How do you deal with fluctuations in demand—for example, when everyone is waking up on Saturday morning and ordering online? We spent a lot of time thinking about supply and demand. That’s the core of our platform which is making sure there’s enough associate availability to serve the huge demand of customers who need help and advice when they’re shopping online. It starts in a couple of ways. One is the associate being able to have control of their schedule, making sure that they can go available when they know it’s quiet in-store. It’s either they be left to their own devices, and they can go available, or they schedule to be offline. We see many of our retail partners now scheduling at least one or two employees per store to be online serving customers. The second thing is making sure that we can be really smart with our algorithms, making sure we are routing a customer query to the right associate, whether it be in the nearest store or to an associate who has absolute expertise on the product that the customer is viewing then and there on the website. Our algorithm really kicks in and makes sure we always connect the right customer to the right associate. That means we can also be quite smart when it comes to geography for international retailers who have stores abroad. For example, we see many of our retail partners here in the U.S. who allow their East Coast traffic in the evening to be shopping with a West Coast store that is still open and assisting online customers. It starts to add a new paradigm for a retail store to think about how they can smartly schedule their staff and even their store opening hours around this growing traffic online. How does this system affect store design? Is there a central call center? Some of our larger department store clients, for example, probably won’t be arming their associates to greet customers when they come in because it’s not the first impression. That said, in a huge department store, for example, you have multiple floors, you have multiple areas within the store, and it means there are associates who absolutely have enough free range of the store to walk around with a device in hand and be able to shop and showcase products and livestream new collections. They can make the most of that store, especially when it’s quieter. For smaller format stores, you have to be quite smart in thinking about the best experience for the customer, make sure there’s enough space and availability for the associate. Hero is not trying to be disruptive for a retail store. We want to make use of the existing employees they have in a store, the existing product and expertise they already have by applying technology on top of their existing model. Instead of that store being there just to service customers in-store, instead they can now be proactively assisting the millions of customers who are online on the website. It seems that as the retail experience continues to transform, we’re now seeing technology being used to actually reintroduce human elements, like conversation or personal assistance. The human component is so powerful, even in the world of technology, and Hero is a technology company. Having that element of humanity and the human component is so powerful. It’s the one thing that Amazon can’t do. Amazon is brilliant for buying, but not great for shopping. If you are looking at a considered purchase, you absolutely want the expertise of someone in the know. Having that human component where you’re not speaking to a bot or a robot, but actually you’re speaking to a knowledgeable associate who you could actually go in and meet in person if you live by the store—that’s a really compelling proposition for the customer. Is there an element of a chatbot or computer‑generated voice in the Hero system, or is it all store associates? We focus on making use of the store associates because there are so many of them. There’s so much availability amongst their retail partners who have a wonderful team of staff who are not maximized 100% of the time. We do have a little bit of a bot to greet the customer, where we can extract a couple of key pieces of information before we connect them to the right associate. Actually, our data and our learning proved that the faster we can connect a real customer to a real associate, the more likely they are to buy and the more they’re going to spend. I’m a big believer in technology and AI and conversational commerce, but if you can combine technology with that element of humanity, that’s where it’s most compelling to the customer. What’s in store for the future of how HERO will continue to help retailers cater to consumers’ shopping behaviors and meet their needs? We’re super excited what we’re doing. 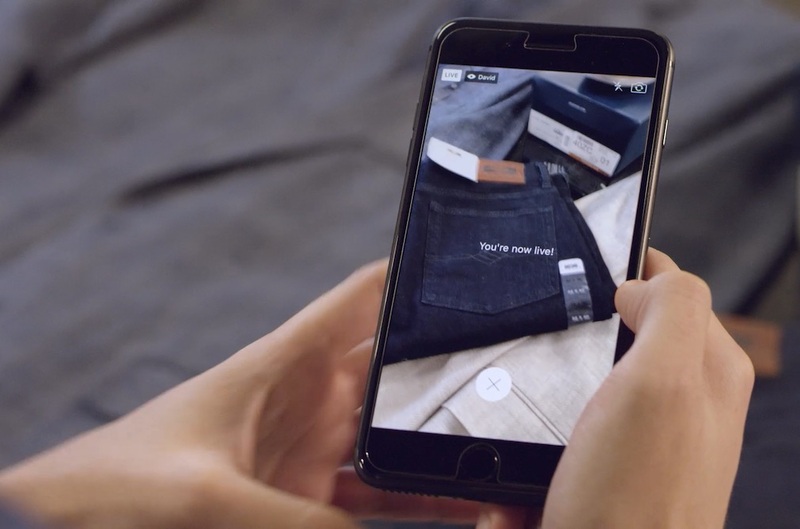 Retail is the total place of disruption right now, but I think Hero is positively disrupting. It’s very omnichannel in the sense that it’s trying to bring a store experience closer together with e‑commerce. We’re not trying to replace store associates. 1 in 10 employees in the U.S. is employed in retail. It’s a huge sector. We’re keen to preserve this wonderful experience of in‑store retail and the wonderful associates who have all of this knowledge. We have to, for the first time, bring technology into the retail environment and arm the associates with the technology they’re used to instead of leaving their phones in their lockers. These associates are getting younger. They’re used to technology like WhatsApp and Instagram. We need to be making the use of that skill set, arming them with the technology they need and allow them to really compete within 21st-century e‑commerce, and not just be waiting for customers to come into the store. That’s great, thank you so much, Adam. Hero x John Hardy – Live Shopping from Hero on Vimeo. For more inspiring insights from pioneers like Adam who are transforming the retail experience, come see him and an entire panel of speakers from today’s most innovative brands at PSFK’s annual Future of Retail 2019 Conference, tickets available now.